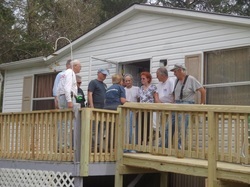 Give - Southwest Virginia Partnership Inc.
or you can click the donate button on the home page. Every gift is greatly appreciated. Bon Air Baptist presenting a bible and rug to the homeowners they had worked with all week.